Here’s what people’s expectation from the Budget 2018 entails. The last full budget of the National Democratic Alliance government, before the 2019 elections, will be announced in a span of less than two weeks. The Union Budget 2018 rides on high expectation as it is the first budget announced after the rollout of the Goods and Services Tax (GST). On the job front, the Narendra Modi-led government will unveil a national employment policy. This policy is expected to be a blueprint to generate quality jobs in India Inc. Besides this, expectations vary from income securities to farmers to reduction of corporate tax slabs. Most of the expectations around tax slabs include raising the exemption limit to Rs 3 lakh from the current Rs 2.5 lakh. Subsidy on interest rates for first time homebuyers is another popular request from the masses. Zeebiz asked a few people for their expectations from this financial year’s budget beginning April 1, 2018. Here’s what they had to say. “There are many things that I would like to see from the Union Budget. But I am going to focus on a few aspects which I consider are urgent in the India that I know,” Suren Abreu, environmental activist and feminist told Zeebiz. The points laid before the government on an environmental front by Abreu were pertaining to the agrarian crisis and plight of farmers, investing in alternative energy fuels and regeneration of forests. “The statistics that the Indian government has, shows us that we are missing 20 million hectares of forest in India, by the government’s own admission. And if you go by something more truthful, which is not the government, which is satellite imagery, we are missing almost 50 million hectares of forest in India,” Abreu added. 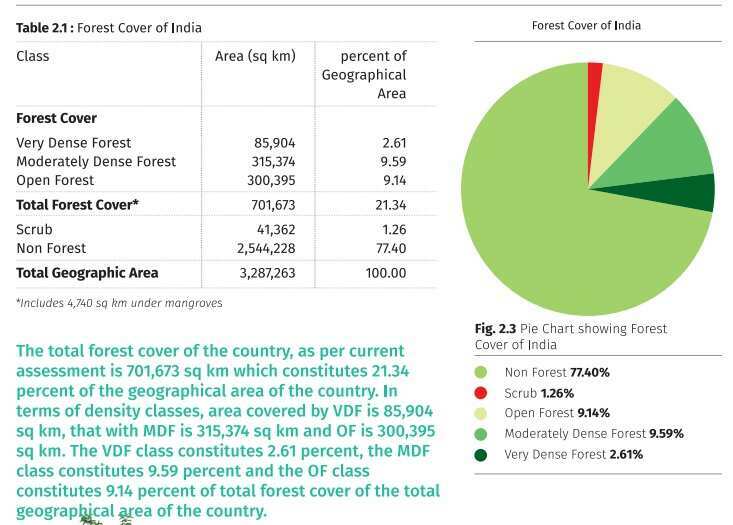 Image Source: India State of Forest Report, 2015 statistics. Image Source: India State of Forest. Report, 2015 statistics. A large part of the country’s youth relies on Education Loan for pursuing higher education. A 100% deduction on the interest on education loan has also been anticipated by the people. An education loan in India can vary anywhere between Rs 50,000 to Rs 75 lakh by a few private sector banks. Interest rates on these loans can go up to 12.5%. Rhea Pereira, a student of SNDT Women’s University is hopeful that the government will bring down interest rates on student loans. Startups that have dealt with the government’s decision to demonetise higher currency in 2016 and the rollout of GST have a higher expectation from the Union Budget 2018. The biggest expectation from the Union Budget by startups is abolishing of the angel tax. Under the tax, which was introduced in 2012, any investment raised from domestic angel investors above the fair value of a venture as determined by the CBDT will be taxed as income in the hands of the startup. Rafael Pereira, Founder and Director of Cadre, feels more recognition should be given to startups in the field of media and entertainment. Pereira also voiced the need for extending the period of tax linked deductions given to startups. Under existing slabs, 20% tax is levied on annual income of Rs 5-10 lakh while 30% tax rate is applicable for personal yearly earning above Rs 10 lakh. Tax slabs reduction is one popular request of the people. “Definitely the tax slabs which are at 20% should be reduced to 10% with the amounts remaining the same,” Lilac Lewis, Supervisor, Quality Control in a multinational company said. “As a middle class working employee, my biggest expectation from the budget is restructuring of the salaried tax. I think that with the government’s claims of our tax base increasing due to the Aadhaar linking, demonetisation, GST, the small tax base that we’ve had up till now should receive some kind of tax rebate,” said Nehal Kumar, Senior Business Analyst. “With the Union Budget I expect the tax slab to be around Rs 10 lakh for the working people,” said Hrishikesh Waghmare, Operations Lead in another multinational company. An Income Tax Exemption for the principal amount of home loans under Section 80C is applicable. However the cap of Rs 1,50,000 is shared with other investments like PPF, LIC. “Exemption on the interest of house loans is very minimal. The exemption on the principal and the interest of the house loans is pulling back middle class from buying new houses and are pushing them to stay on rent,” said Moiz Bharmal, Senior Business Analyst. “I understand one of the objectives is to have affordable housing for every citizen by 2020. If that has to happen then the rebate on home loans should be increased,” said a General Manager, Tushar Ubhaykar. An increasing number of people in India spend for health care with 'out-of-pocket' cash. "Rural households primarily depended on their ‘household income / savings’ (68%) and on ‘borrowings’ (25%), the urban households relied much more on their ‘income / saving’ (75%) for financing expenditure on hospitalisations, and on ‘(18%) borrowings," a report by Pharmacoeconomics revealed in 2015. A report by Times of India last year revealed that 80% of India's population were not covered under any health insurance plans. “While I am young I can still handle my medical expenses but if I compare it with my old age, savings that I do today, I don’t think I am well prepared to cover my medical expenses for the future,” said Shrushti Deshmukh, General Manager in an MNC.